MAKE SURE YOU ENTER THE GIVEAWAY FOR A SIGNED BOOK, SIGNED BOOKMARKS and an E-BOOK – AT THE BOTTOM OF THIS PAGE! 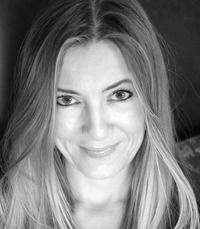 Addison Moore writes contemporary and paranormal romance. She is a graduate from the University of Southern California and worked as a therapist on a locked psychiatric unit for nearly a decade. She resides on the West Coast with her husband, four wonderful children and two dogs where she eats too much chocolate and stays up way too late. When she’s not writing, she’s reading. Addison posts on her blog The Tuesday Tease - http://addisonmoorewrites.blogspot.com – make sure you check it out to get your fix! 20th CENTURY FOX PURCHASED OPTION FOR CELESTRA FILM RIGHTS - with the intent of turning it into a TV SERIES!!!!! !